I have been hooked on Syfy’s new werewolf show Bitten recently. So when the lovely Jessica Majzner contacted me and asked if I wanted to read and review her book Beyond the Veil which is about werewolves and also vampires I jumped at it. I read all types of books as you know, but have always had a soft spot for supernatural novels since I was a teen. I was a huge Buffy the Vampire Slayer fan back in the day and this got me hooked into vampires, werewolves and ghost stories. Every now and again when I get the chance to read, which is a bit limited at the moment with a teething 6 month old I get myself into a great book. This month’s book is Beyond the Veil by Jessica Majzner. A great little fantasy book that is not your ordinary supernatural love story, which do seem to be ten a penny! It’s much better than those. It really is a great little find. One of those gems that you will want to read over again. 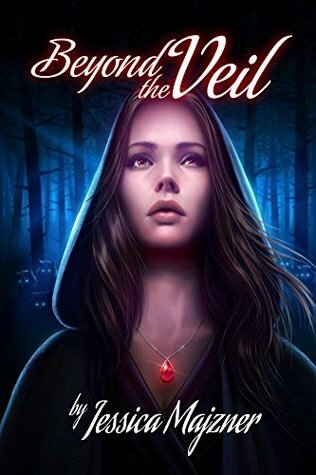 Beyond the Veil is fast paced with an intriguing storyline. I love all the chat around vampire’s and werewolves and their history. Packs and curses, territories and hunts. These are all included. The main character Natalya is a strong female who won’t take no messing around. The action scenes in the book are written really well and very descriptive. They give you a fantastic image which is what find adds so much more to a book. Many twists and turns to keep you occupied throughout.